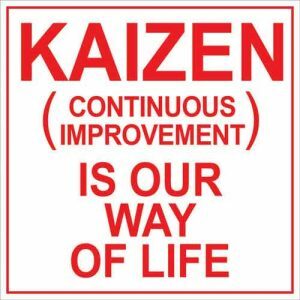 Kaizen is a word and thought system that is the foundation of the “Volleyball1on1 Winning Team Culture” we teach for high school and club youth programs. The word is Japanese and means constant never ending improvement. I think this video captures the idea and should be shared early in your season with your players, coaches and school administration. The goal is to build this into every part of your team and schools athletic culture. At Volleyball1on1 Kaizen is a foundation of the culture we teach in our gym and an important life lesson we try and impart on our players! Schedule a call with Andor Gyulai to review our running a summer camp together.